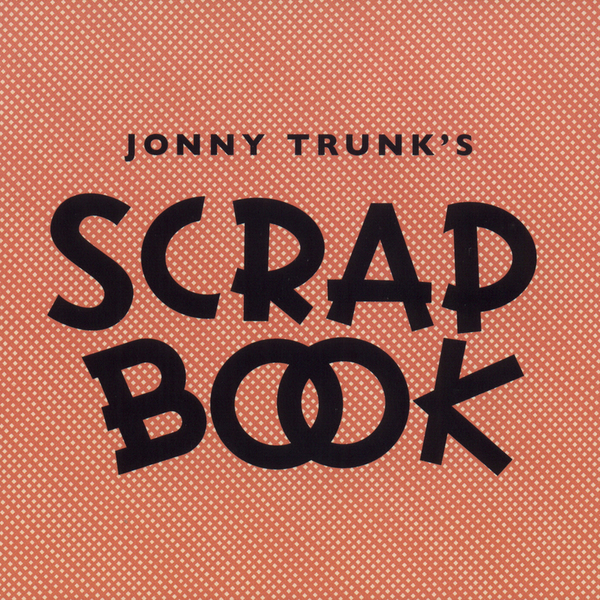 Oh my giddy aunt, it's a new album from Jonny Trunk! If you read the third person sleeve notes on the back of this disc you'd buy it on the spot, but as it stands you're on the other side of a computer screen reading this, and hopefully we'll be able to persuade you how great this album is. If you don't already know, Mr Trunk is one of the UK's most cherished and vital crate diggers, noted for his eccentric approach and heartwarmingly sincere passion for the foistiest corners of British culture, giving life to bygone relics of TV, Radio and recorded music history. 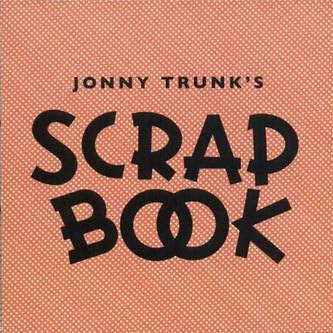 'Scrap Book' is a full length album of sorts, collating 20 tracks of unpredictable ephemera that have been cluttering up his office/head space between 2002-2008, and ranging from 40 seconds to a few minutes in length, never too long to let the novelty value wear off. And that phrase isn't intended with any derision, Trunk has practically made a career from novelty fetishes and that is what makes him so appealing. Apparently his favourite track here is 'Lesbian 77', a haunting piece of spook-jazz, while I think our fave has to be 'Wife Swapper' both for the title, and the sketchy theremins contained within. A fiendishly odd listen for any disciples of hauntology, highly recommended!